Sprawl. This charged, catch-all term describes the auto-oriented built environment in which a majority of us live. Its development pattern fuels emotional debates over concerns that are not in our long-term interest and lead to health problems. But what exactly is sprawl? While typical answers describe its negative effects—such as traffic congestion, pollution, environmental degradation, and anonymous places—those answers often fail to identify it as the most successful real estate venture in history and the byproduct of a highly efficient legislative and land development system. It is exactly what we have craved in North Texas since the 1950s: communities providing auto-oriented access to shopping and workplaces through wide arterial streets, separated land use patterns with large landscape buffers, and convenience for all—the American Dream. But this dream is evolving and the commercial byproducts of sprawl (the strip commercial corridor, shopping mall, retail power center, and the neighborhood grocery center) are becoming outdated and in need of repositioning. Commercial strip corridors were the “miracle miles” of old and are a common sight in North Texas. They originally connected our downtowns with older neighborhoods (e.g. Ross Avenue, which connected downtown with East Dallas), became prevalent throughout our suburbs as the primary connections between neighborhoods and workplaces (e.g. Preston Road, which was the gateway to the north), and later evolved into our highways connecting communities with destinations such as airports, office parks, and shopping malls (e.g. State Highway 183). In the past 50 years, commercial strip corridors have accounted for the majority of commercial development activity in our region. But as our communities age, many of these corridors are losing their attractiveness as development locations and are experiencing disinvestment resulting in vacant, abandoned, and underused properties that negatively impact the image of the city around them. But these corridors remain key parts of regional transportation networks and are often well-positioned for reuse and redevelopment because of the high volumes of traffic they continue to experience. To realign these corridors with new opportunities, the properties on both sides of the right of way and the designs of the streets themselves should be significantly restructured into places that once again intrigue the market. This involves the amending of development patterns toward hierarchical “nodes” of clustered uses at key points along each corridor with noncommercial programming and landscapes between. It involves a change from auto-oriented to multimodal transportation options that help focus redevelopment while improving mobility options. And it involves more enlightened common area design that enhances the environmental condition of the community through meaningful and programmed open space. This deliberate orchestration requires leadership by local governments as these strips are composed of hundreds of separate parcels—far too many individually-owned properties for any developer to substantially influence. And with these front doors of the neighborhood at issue, stakeholder involvement in the replanning process is critical to ensuring that revitalization meets local needs, gains political acceptance, and advances to real implementation. Corridors such as Columbia Pike in Arlington, VA, and Aurora Avenue North in Shoreline, WA, achieved such success and have seen a large amount of private investment through urban mixed-use redevelopment over the past few decades. These streets are designed for people, transit, and bicycles, not just cars. 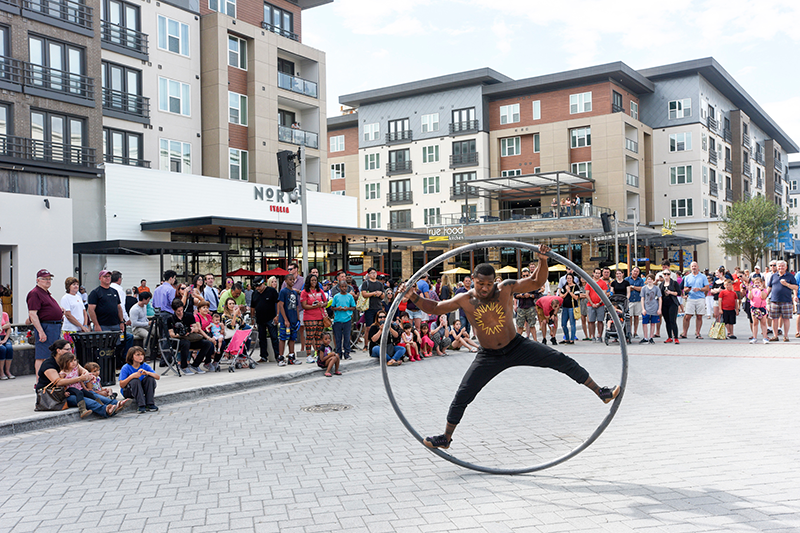 Utilizing such a market-sensitive community planning and design process allows us to capitalize on one of our largest opportunities to evolve the Dallas area into a national model of placemaking and heightened livability. And while this is still in the early goings in North Texas, McKinney Avenue in Dallas and West 7th Street in Fort Worth stand out as examples of similar public/private collaboration, leading potentially to great economic and experiential turnarounds, and the urban phenomenon of the Shops at Legacy and Legacy West that has occurred in the Legacy Business Park along the Dallas North Tollway shows the impact such a mixed-use node can bring. The crown jewel of suburbia has been the regional shopping center. The mall helped form the strip corridor by being a major anchor around which smaller businesses located. Although there have been refinements in programming over the past three decades, the mall is still defined by massive buildings ringed by acres of parking and detached from the community. Customers generally frequent a mall for its strength of retail versus quality of place. The market has been shifting from this paradigm and rewarding places that provide real interaction and urban amenities versus transaction-based experiences alone. It is not the failings of the mall’s retail program that urges retrofit, but its inability to deliver an authentic and engaging experience. 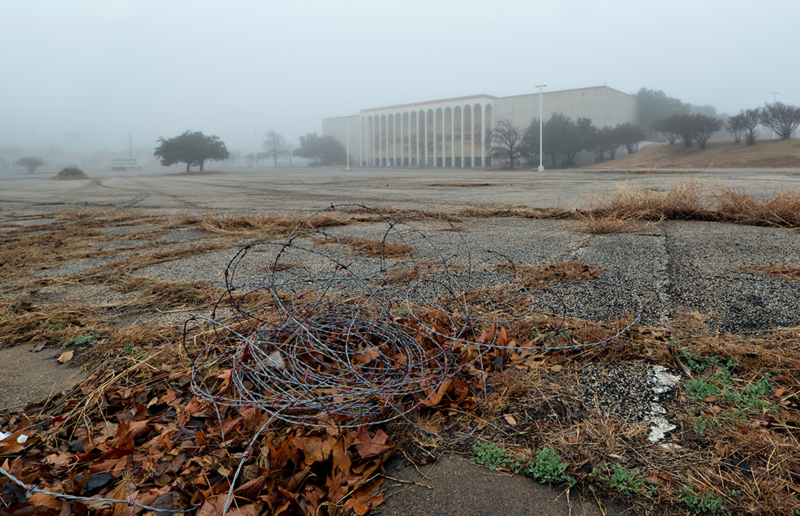 In the past, revitalization efforts sought to resuscitate the format of the mall itself. In the ’80s and ’90s, developers focused on retail remerchandising and design facelifts to freshen up the mall experience. In the ’90s and 2000s, many malls had their roofs removed or exterior pedestrian wings added to attempt the “urbanization” of its format. And while these efforts did help bring new investment and attention to the commercial experience, the malls ultimately retained their sense of internalized and privatized commercial experiences, detached from the communities around them. There have been a host of new efforts, however, that reverse this by restructuring the mall’s urban plan itself. They work to evolve the mall’s identity from being a “project” to being understood as an authentic “neighborhood.” Pedestrian-friendly networks of streets and open spaces are overlaid on the mall site plan with a new mix of buildings and uses that create activity from the daytime through the nighttime. New types of office and residential uses are inserted at key moments within the plan to strengthen the experience and identity of the district. Hotels and meeting space are also being added to better cement the new district’s regional importance. As can be seen in the “de-malling” of the Villa Italia Mall in Lakewood, CO, to become the Belmar District or the redevelopment of the Plaza Pasadena Mall in Pasadena, CA, to become Paseo Colorado, these efforts have recast the identity of their places and improved the value of the larger commercial district around them. 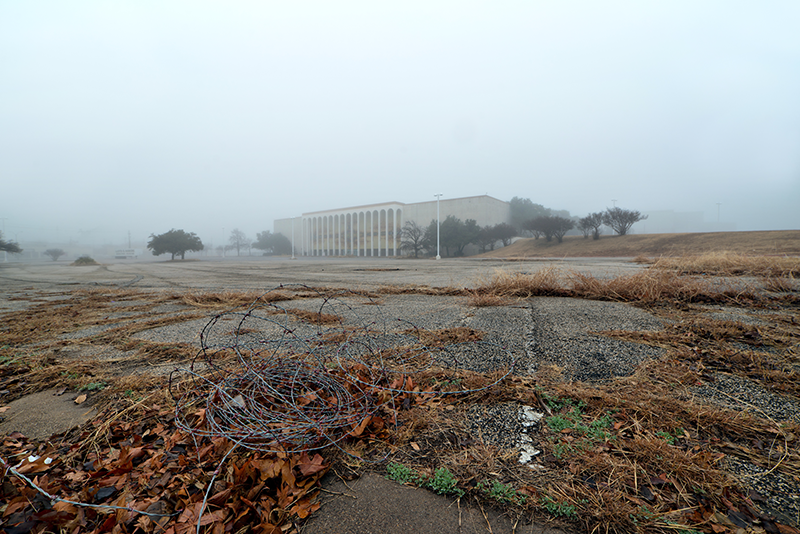 Though www.deadmalls.com identifies seven North Texas malls as being in trouble, the opportunities posed by Valley View Center in Dallas (now being reimagined by Scott Beck) and Collin Creek Mall in Plano (now with new potential due to its proximity to KDC’s Cityline development) show real potential for such urban regeneration to occur in our region. In the 1980s, developers saw opportunities to consolidate retail patterns away from the commercial strip and mall and invented an array of enlarged and more specialized clustered retail formats centered on auto-convenience. “Category killer” clusters (large single-themed stores intended to capture market share from smaller stores) and other centers anchored by “big box” stores evolved into what we know as “power centers” needing large acreages at high-visibility, high-traffic locations. But as with most real estate formats devoid of a sense of place, their shelf life is continually shortening as they offer nothing more than convenience and value, all things the internet makes abundantly possible with lower investment cost. While these developments are generally further away from decay than many older malls, many are experiencing rapid devaluation that brings with it down-cycling in tenant types. These developments do have the positive characteristics of land and building size that make them great candidates for retrofit to such uses as cultural, athletic, and health care campuses. With new uses come smaller parking requirements; the parking fields themselves can make room for activated open spaces and other new development armatures around which a more engaging urban form can emerge. Such activity is occurring in other regions across the country including Bayshore Center in Glendale, WI, where the power center’s parking lots were converted into a series of new buildings and open spaces forming a walkable town center. 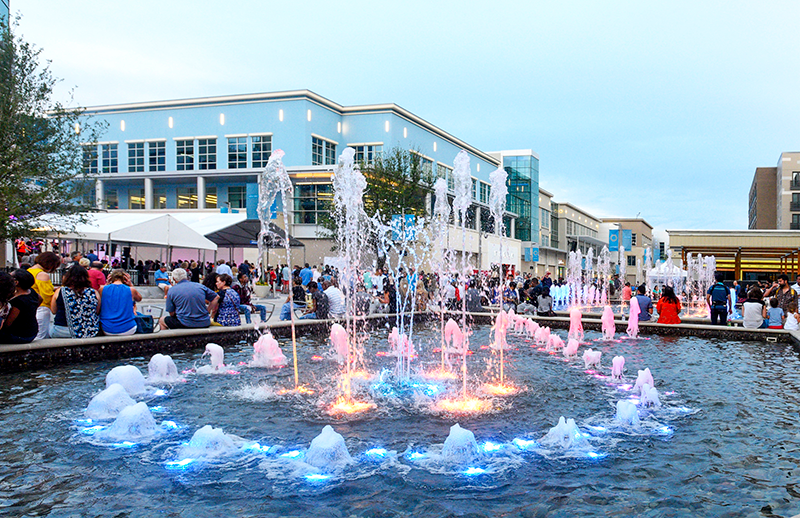 In other areas where the power center remains successful, but adjacent areas have struggled, such unlikely activities as those happening in the downtown Birch Street development in Brea, CA, may occur. Rather than redevelop the power center itself, the city worked with developers to add new buildings and streetscapes behind the center to form a walkable mixed-use destination that breathed new life into the broader neighborhood. 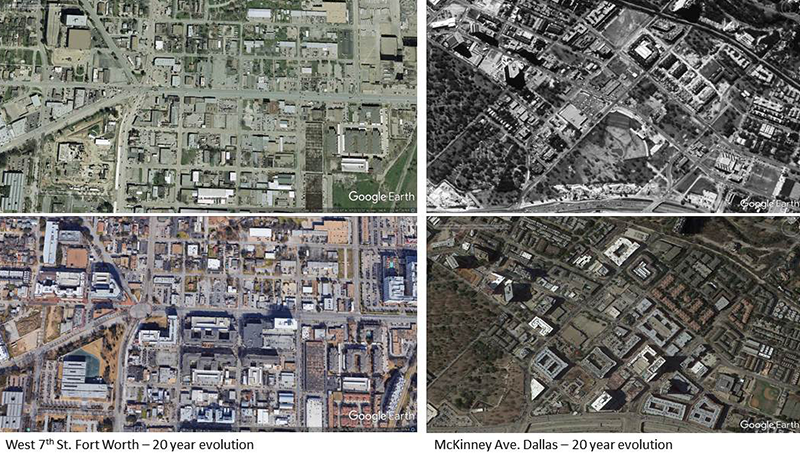 Where the cost to rebuild is also too great, the adaptive reuse of the buildings themselves through landscape design and architectural additions focused on the type of placemaking that was accomplished at the Digital Realty redevelopment of a Dallas shopping center at the southeast corner of Webb Chapel Road and Interstate 635. With Amazon’s purchase of Whole Foods to provide “better food at better prices,” it joins the Walmart/Sam’s Club/Costco/Target retailing evolution toward grocery superstores that take us further away from the neighborhood grocer of old. Despite this trend to larger stores, there are growing models for small specialty grocers—such as Trader Joe’s and Royal Blue—that can more easily blend into a mixed-use and urban format. The old-school 50,000-square-foot store that the original neighborhood retail center was based upon is under real pressure. This opens up new opportunities for developments to evolve into new uses altogether such as new blended-density neighborhoods that use targeted townhomes and other street-facing housing types to open up new connections to adjacent single-family areas, restaurant and sports-programmed regional open spaces for community gathering, and new mixed-use employment and education districts. 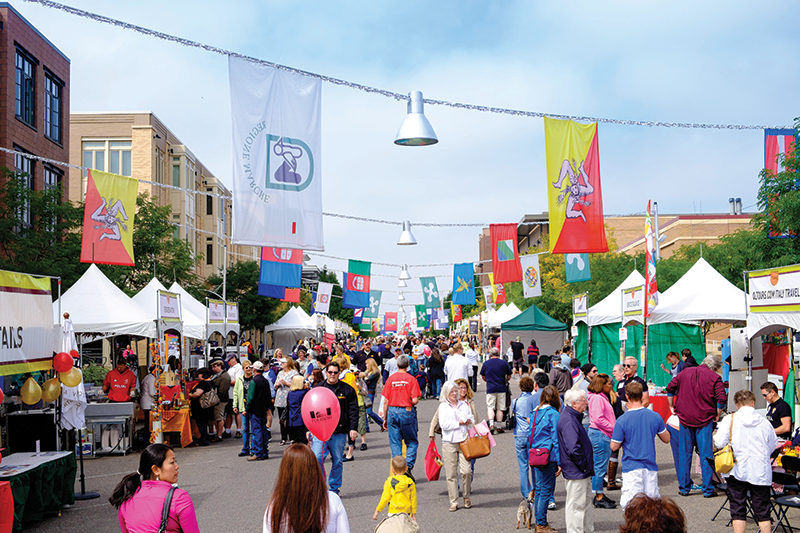 Given that these developments were at the center of standard municipal planning policy that placed “four corner retail” at nearly every major street intersection, the possibility for change is vast and these centers may be the best opportunities to reimagine our local community experience. 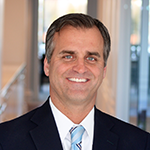 Whether utilizing adaptive reuse and new infill of mixed-use buildings in a former grocery-anchored retail shopping center, such as occurred in DeSoto’s Town Center or the Preston Hollow Village development at Walnut Hill and Central Expressway, or adding smaller specialty grocery stores into a broader new mixed-use program, such as the downtown Columbia development in Maryland, the opportunity is ripe in North Texas for such reimagining. These auto-oriented strip commercial development types are less than a century old and are omnipresent in every North Texas community. Their patterns’ inability to inspire community pride and meet the demands of our changing appetites has caused a downward trend. As this continues, vast commercial landscapes are becoming available for reimagining. This will require major interventions, along with creativity and commitment, in carrying each project through. Such change positions the design professions well as leaders, since these are inherently issues of planning and placemaking rather than tenant mix and merchandizing. Without visions of what the commercial strip can be, developers and their financiers cannot initiate this transformation. Paris Rutherford is principal of Catalyst Urban Development.